Don’t want to run, but want to have fun at the Pride Run? We are looking for volunteers! We need running marshalls and people to hand out water and food, set up equipment, clean up, and much more. Volunteers receive a free volunteer t-shirt and the chance to win prizes donated by our sponsors. Social Media Blitz - Are you well connected through social media and want to help make Pride Run 2018 a big success? Sign up to participate in our Social Media nights where we boost our registration numbers! Registration Kit Pick Up - Are you orderly and well organized? Help hand out registration kits to participants! Course Marshall - Are you always beaming with Pride and have lots of pep? Running Marshall is perfect for you. You will be placed by your Course Captain along the route to cheer on Pride Run participants and make sure they go the right way! Bring along your favourite noise makers to show your Pride and lift spirits. Hand Out Water or Food - Any race and fun run needs rehydration and a snack! You will be at a water or food station to make sure all participants get what they need to finish the course or recuperate! Site Set Up - Early riser and can't stay for our whole event? 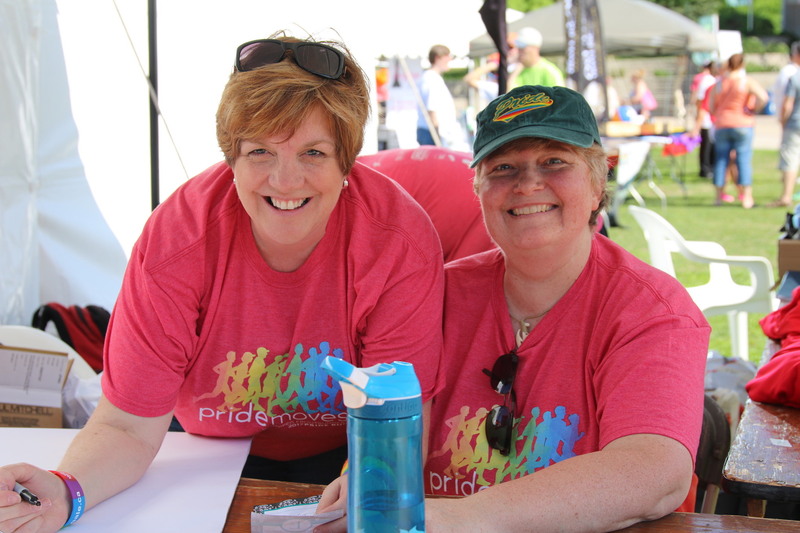 Come help set up tents and direct where participants should gather ahead of the Pride Run! Site Clean Up - There's always lots of take care of after the fun is done! Stay for a bit after the Pride Run to help gather the equipment and tear down a tent or two. Don't forget to wear your provided Volunteer t-shirt the day of the run! 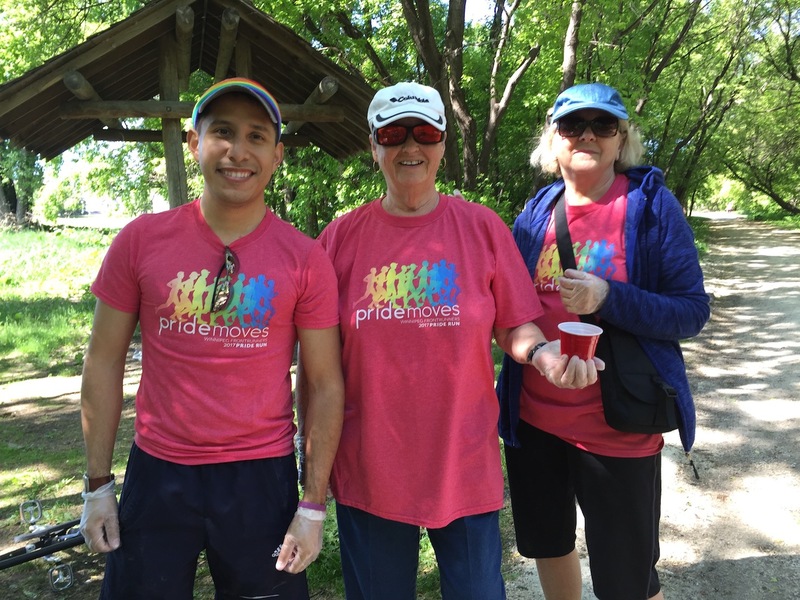 The Winnipeg Frontrunners Pride Run could not be a success without the help of our fantastic volunteers -Thank you!